Colin has been advising leaders on the power of innovation for 15 years. 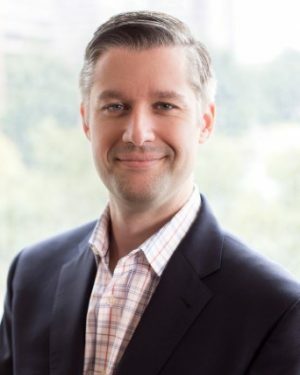 Prior to joining Kalypso, Colin held brand management roles at Kraft Foods where he was responsible for developing the long-term innovation pipeline for the Meat Enhancers portfolio as well as consulting roles at CSC Consulting. He has deep experience in portfolio management and optimization, strategic planning, launching new products in retail channels, brand re-invention and P&L responsibilities associated with running multimillion-dollar product lines. He has tangible experience leading teams from the “fuzzy front-end” of innovation through successful commercialization from both the corporate and consultant sides. Colin has also created training content for and led international training and adoption sessions on business processes as well as software implementations. Colin received his MBA from the University of Virginia and a BS from Case Western Reserve University. Colin drives results for his clients through new approaches to New Product Development, Change Management, and Go-to-Market Strategies based on his exposure and experiences with numerous global organizations. His consulting focus has mainly been in the Food & Beverage Industry, and he leverages his corporate experiences to provide actionable strategies and plans that clients can act upon. Colin’s work often involves serving as a trusted advisor to Senior Leadership teams, guiding them on ways to choreograph the integration between business needs, organizational capabilities and product portfolios to develop and optimize innovation competencies. When he’s not at a client site, these days you can find Colin either at home with family in Virginia, somewhere up in the air, or if it’s the fall probably in his seat across from the ‘Dawg Pound’ in Cleveland Browns Stadium.